I don’t usually do book reviews on this site. 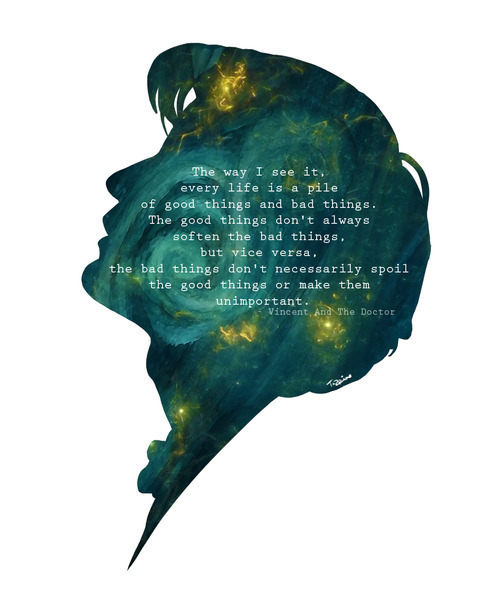 Whilst I read, A LOT, I usually keep my reviews and thoughts to myself, or on my Goodreads feed. However, when a friend puts out a call asking if anyone would like to help her out with a cover reveal, I couldn’t resist in helping! After all, that’s what friends are for! 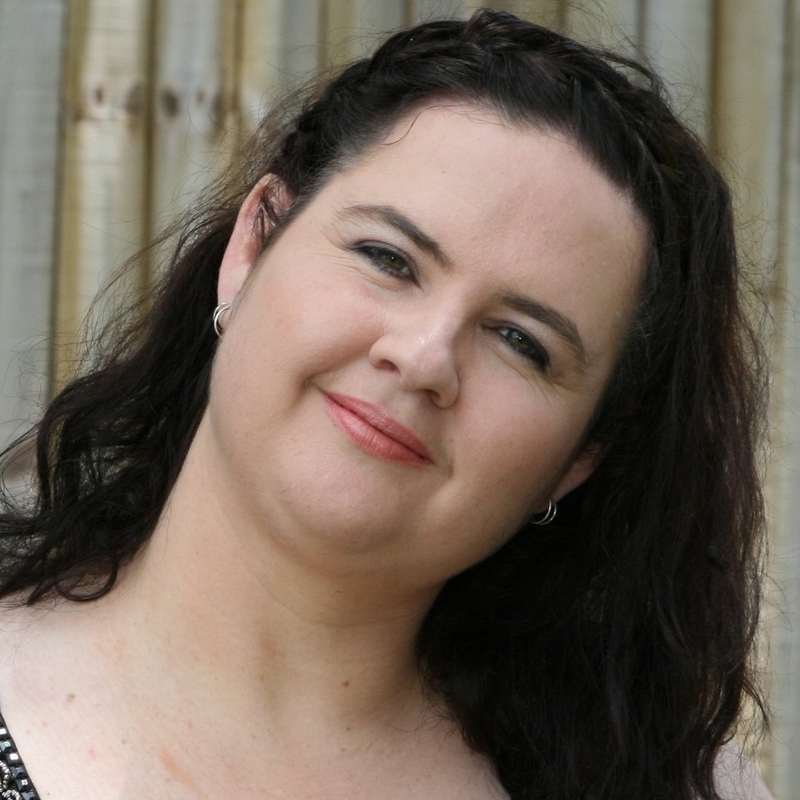 I’m very excited to support Michelle, as she embarks on publishing her first books, this year! There’s nothing better than watching friends bloom and grow, and have their dreams come to fruition! 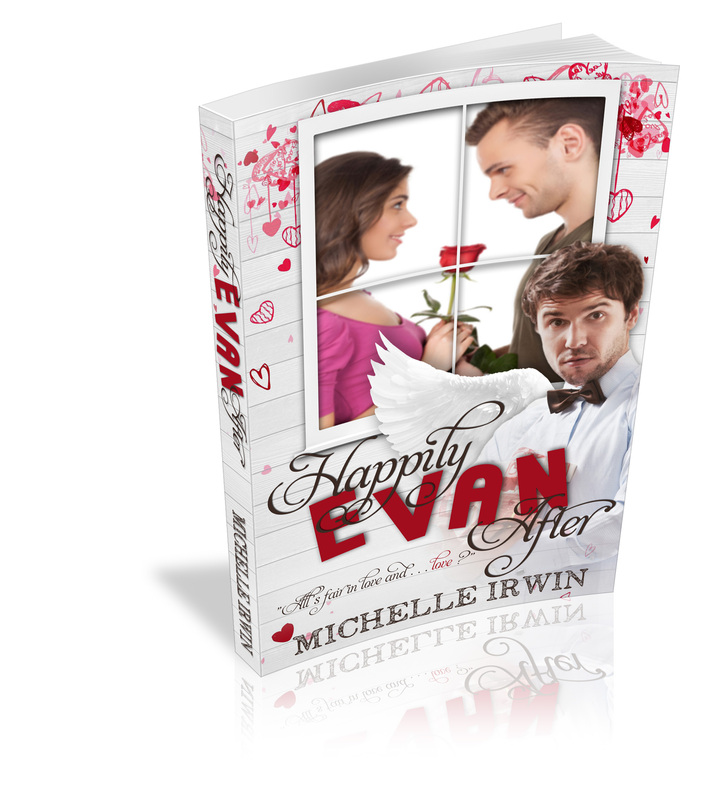 sooo… without further ado..I give you the BLURB for “Happily Evan After” ..a paranormal romance, with a difference! Sounds exciting, yes?!? *everyone nod your heads and grin* … who wants to see the cover?!?! Check it out ……. How cute does it look and sound?!! I can’t wait to read it!! Publishing Date: TBA soon! So make sure you scroll down and add Michelle to your Goodreads and Facebook and Twitter and just basically, all social media! I am very excited to read lots of words, by Michelle, and I hope you are too! Thanks for stopping by today! 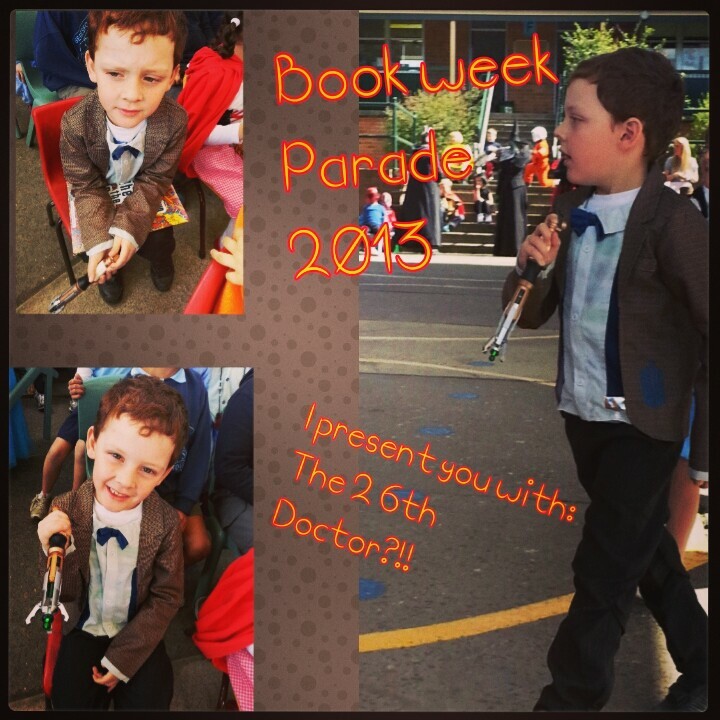 Last week was the annual book week parade at Mr6’s school so I thought I’d share some fun pics with you all of his ‘character’ he chose. 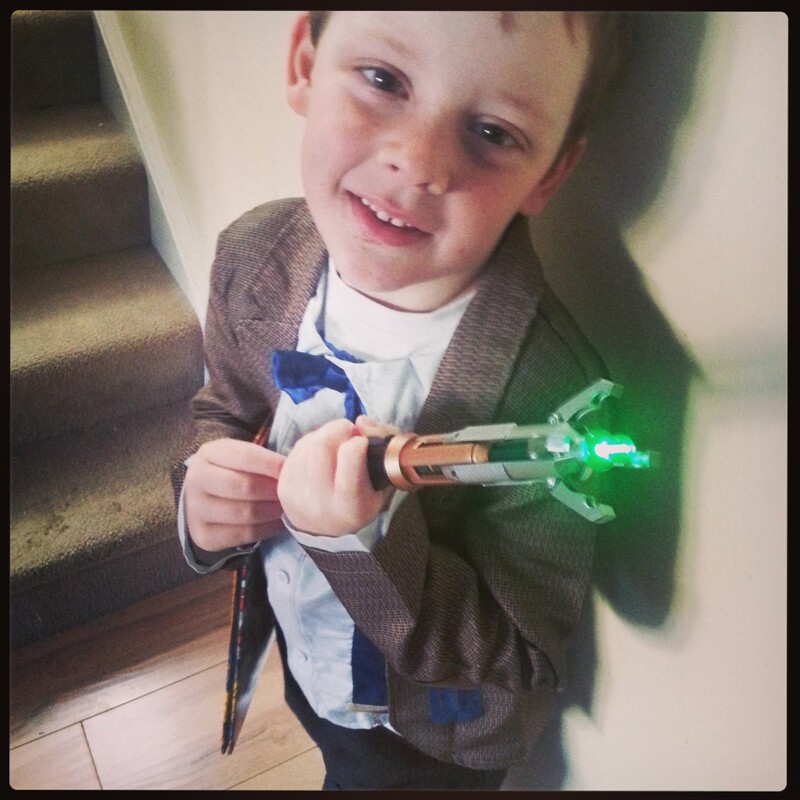 When he said he wanted to be “The Doctor” I didn’t hesitate at all, in fact I may have embraced it enthusiastically! A quick trip on ebay and voila… the Doctor was born. 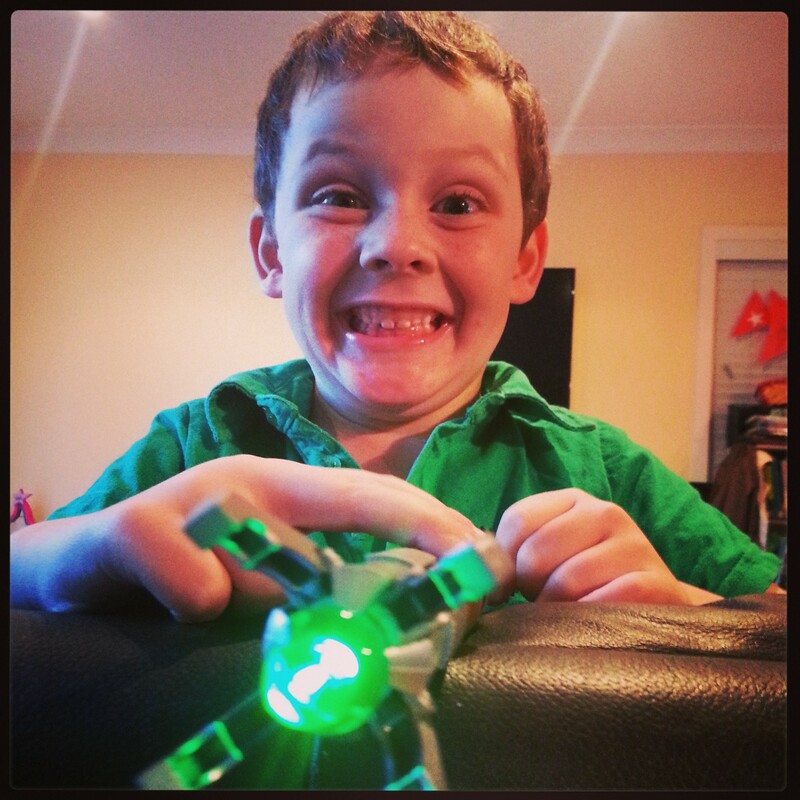 Mr6 and I have been bonding over “Doctor Who” for about a year now. It’s been so much fun discovering it with him, and we quite often get into some philosophical discussions over the Doctor and his companions!! We started at the “Ninth” of the ‘new generation’ although I do remember as a kid watching the series on the ABC. I recently went to an op shop and managed to score big on some of the old tapes, getting just about the whole catalogue, plus some Torchwood (Captain Jack..mmmm) so now we can go back in time and space for adventures and more! 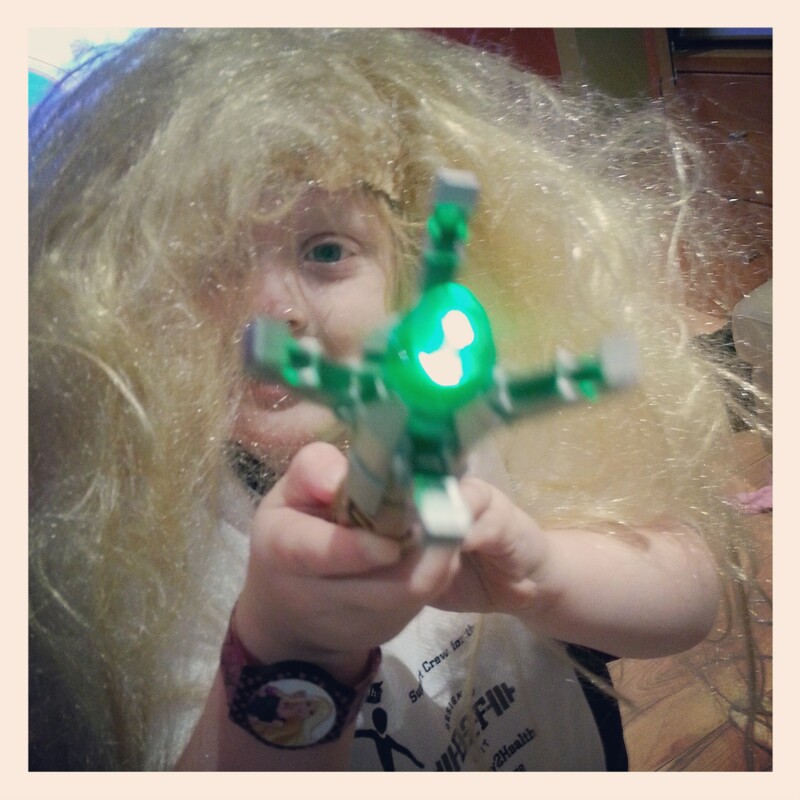 Here’s our excitement for Doctor Who wrapped up in pics!! Do you watch Doctor Who? What’s your favourite episode? My favourite is Vincent & The Doctor, with Vincent Van Gogh..I can cry EVERY time I watch it! Who’s your favourite companion?? I tend to like all of them for different reasons, but really, Rose & The Doctor made me cry, but Donna made me laugh so hard! 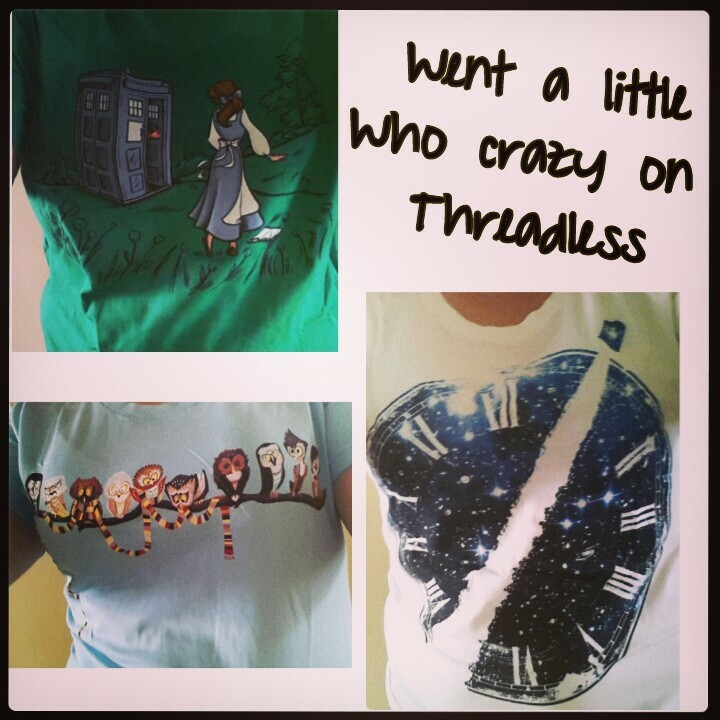 I own a few shirts with Companions on them, and just yesterday received a shipment of some more shirts… I don’t ‘think’ I have a problem…..although…. Thanks for reading….. until next time.. hope you have a Wibbly Wobbly Timey Wimey Awesome Custard & Fish Fingers Fantastic kinda day! I was going through my photos the other day and realised I had a couple of Fathers Day pics which really summed up what a magical day it truly was. How was your Fathers Day this year? Every year I always send out a message to all those single parents who are acting as Mum and Dad. It’s got to be tough to be a single parent, and not get any respite or reprieve, so again, I thank you parents out there that do it day in and day out! This year all of the children were really able to get into the Fathers Day spirit! 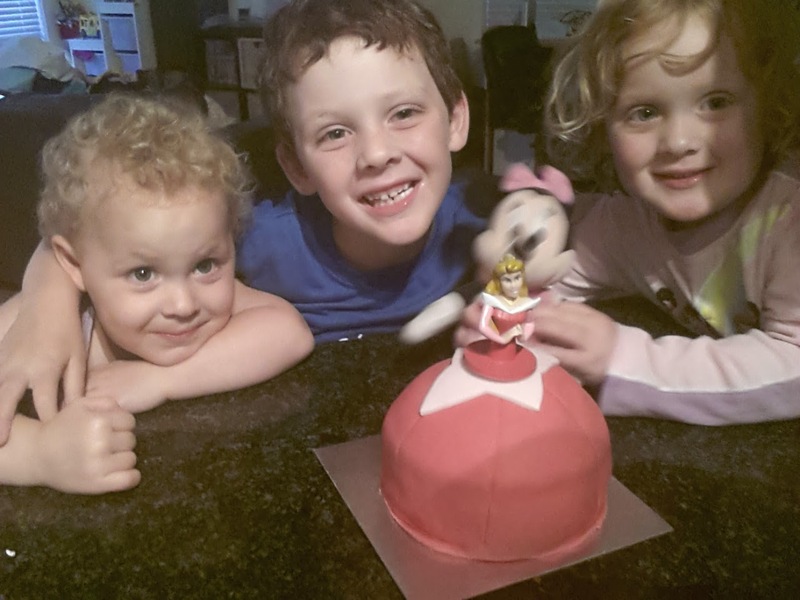 We had something very special planned and I was excited that Mr 5 and Miss 3 were able to keep it a secret!!!! We started the day with letting Dad have a sleep in! 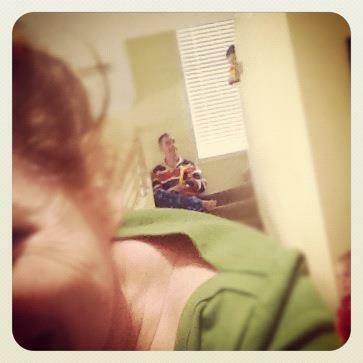 Then when he got up we made him breakfast and let him read the paper in peace. 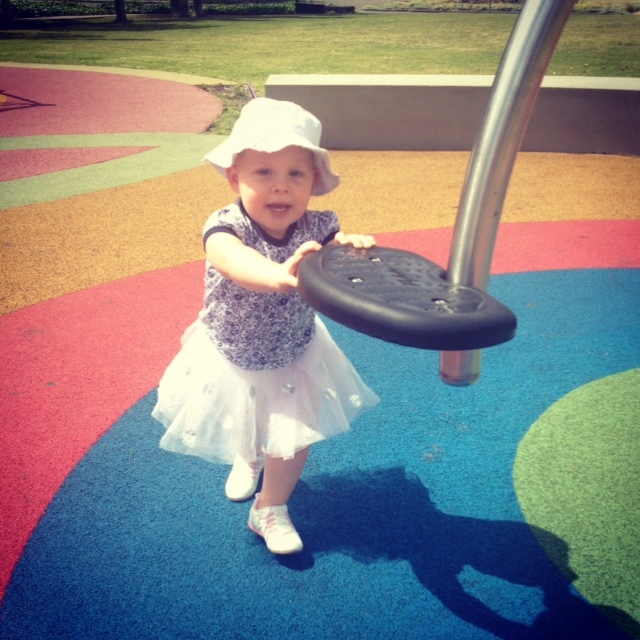 We spent some wonderful family time at the park – minus my phone (daddy likes when mummy isn’t attached to her phone!) – and then it was time to head home and banish daddy upstairs to get his surprise ready! The kids set up the front room as a movie theatre and made a huge mattress picnic for daddy. They hid all the presents around the house and called him down. In typical 5 year old style, daddy got NERF GUNS, underwear, and The Avengers DVD. 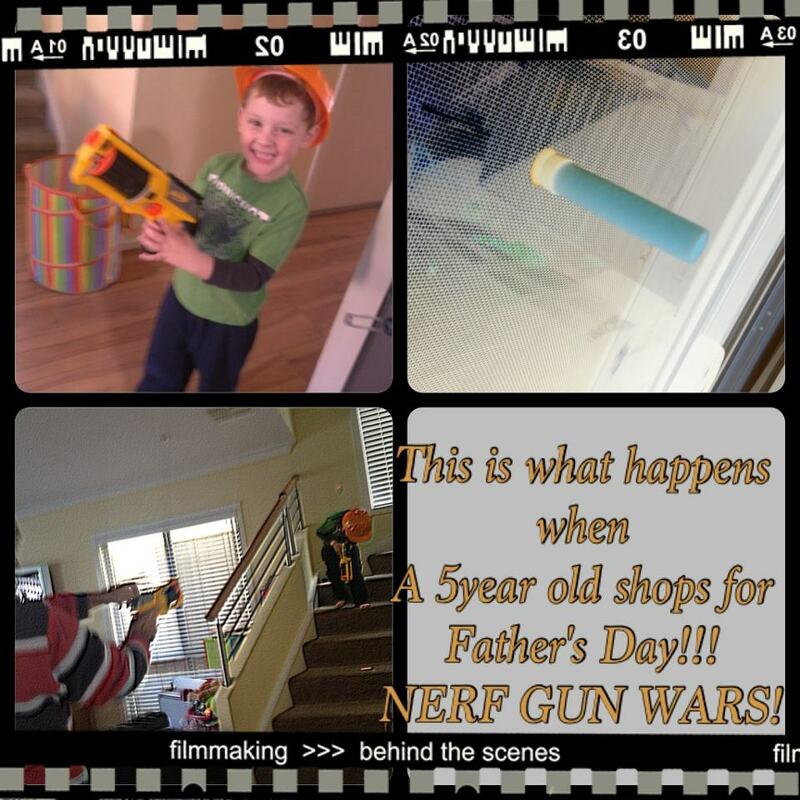 I was ambushed by NERF guns and NERF wars, and lots of giggling and squealing!!!!!! 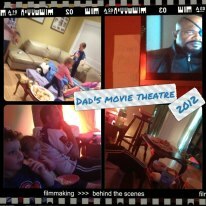 We all settled in and had a lovely family afternoon of watching The Avengers together and spending a special Fathers Day today. So… what did you do for Fathers Day? What type of things do you think we could do next year to top this year? We are always on a budget, so things at home are always a winner! 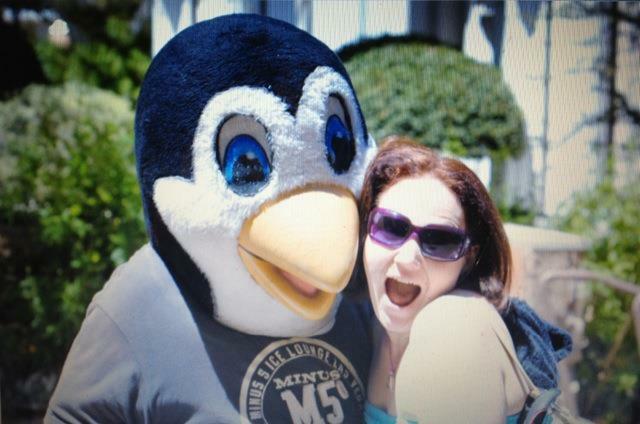 I hope you all had a lovely Fathers Day … Thanks for stopping by! 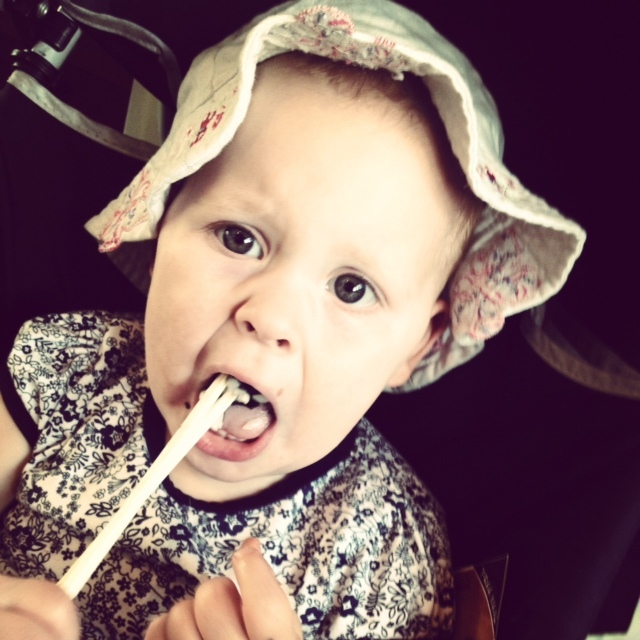 My next post is all about surviving the school holidays! Jumping Back Into The Blog Life! Yes, it really is a blog post! The first in …. 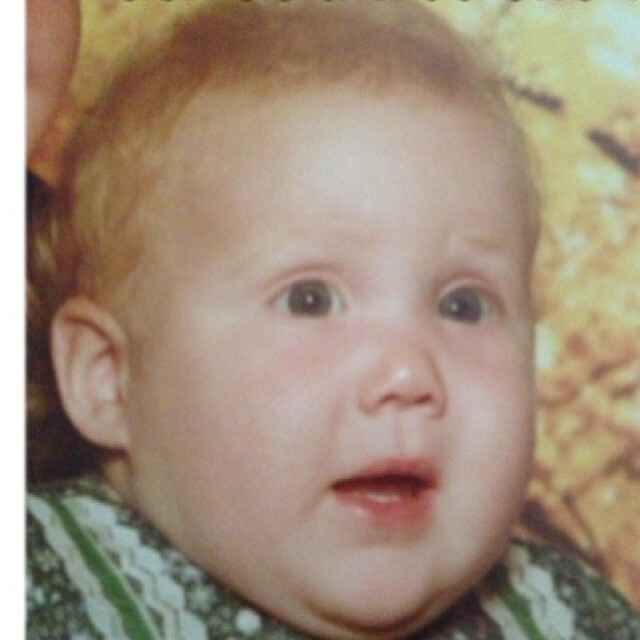 1-2-3 months? No, make that, all year!! Whoopsie! I’ve been so busy and the blog took a back burner, but I’m back!!! I’ve also changed the name of the blog and have decided to make it a general topic one, rather than a ‘weight loss’ one. Since I’ve been gone I’ve done so, so many things! In February I had the chance the meet Michelle Bridges at a book signing!! It was great to say Hello and Thank you to the person who’s helped to change my views and ways to live life! 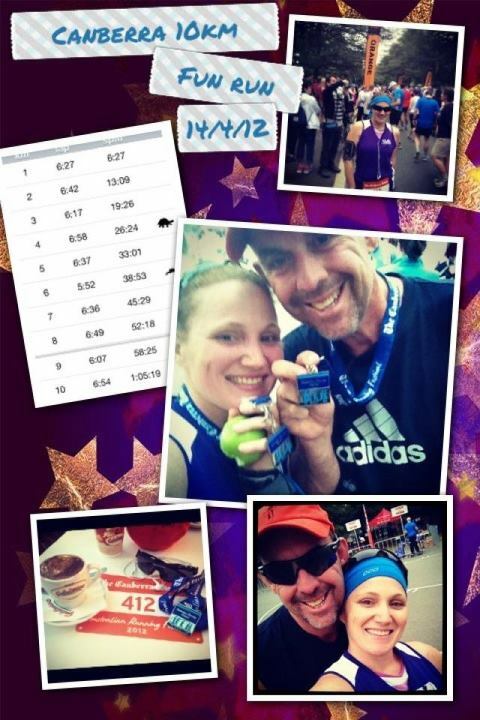 In April I signed up and completed the Canberra Times 10km fun run. It was a great goal to have and was a really fun time. My husband did it with me and being his first time, it was a really great atmosphere. In May, for the first time in the 5 years I’ve been lucky enough to celebrate Mother’s Day, I did not sleep in!!! 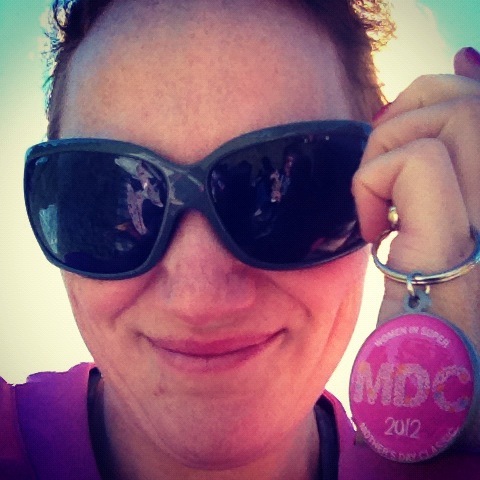 Instead I participated in the Mother’s Day Classic and did the 4km walk. I was originally going to run, but hubs wanted to participate in the run, so I went in the next event. The kids had a great time getting faces painted, dancing the music and jumping around! 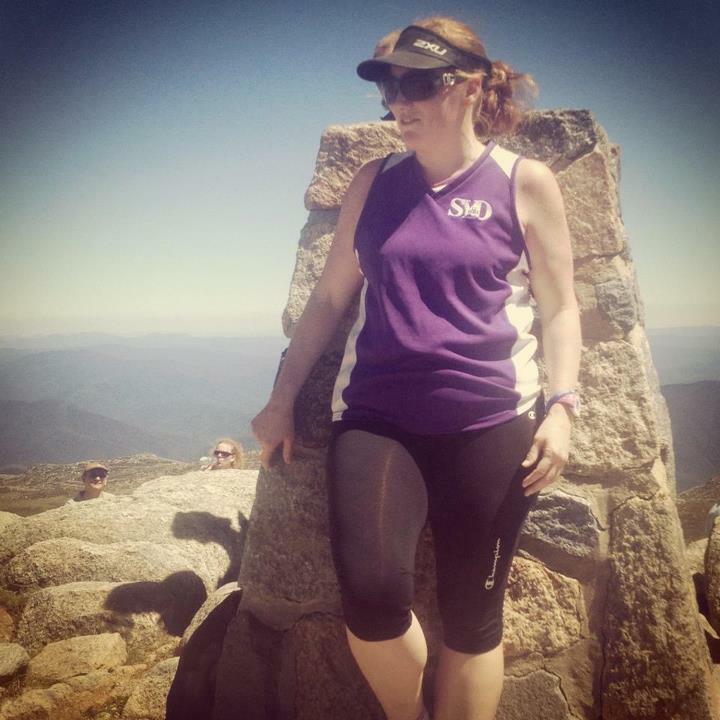 I joined a fantastic group of Sydney 12WBTers and we climbed Mt Kosciusko! 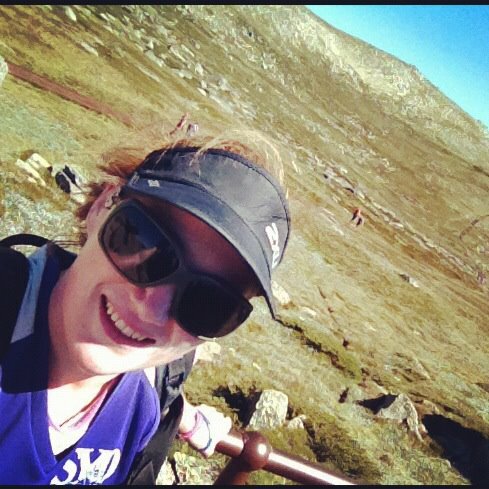 The highest point in Australia! 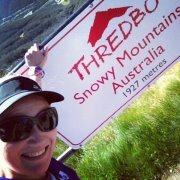 It was an AMAZING feeling and achievement and I was very, very grateful to get the last minute opportunity thanks to Rach, a fellow member of the 12WBT who couldn’t make it. I attempted a second round of the Michelle Bridges 12WBT, after a very successful 18kg loss my first round. Unfortunately I didn’t commit myself the way I should have and there was no progress, but no setbacks either. I also had the opportunity to travel (alone!!!) to America and visit with some awesome people that I’ve known online, and in life’s past. It was absolutely wonderful! 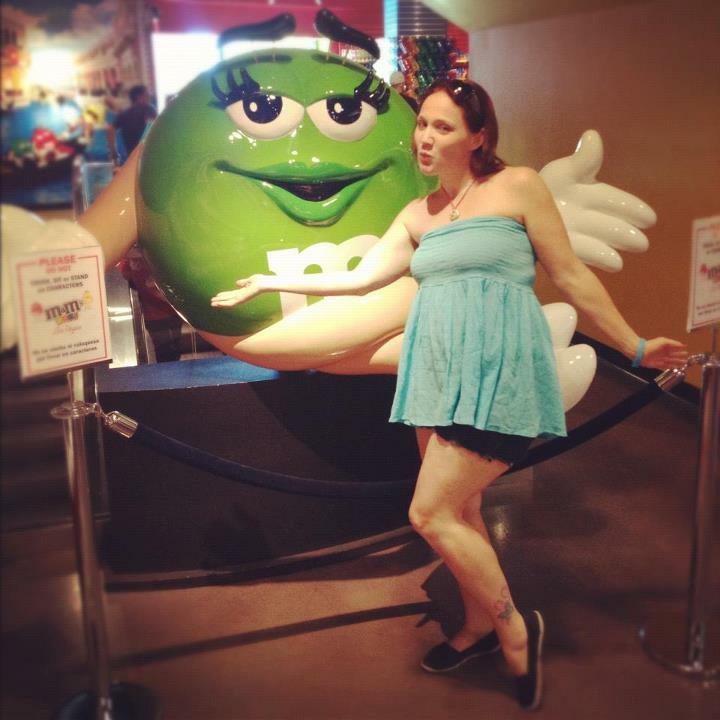 I went to Vegas and almost lost a whole day after experiencing things the way they should be!!! It was a very Hangover moment when I woke up in the middle of the day, I threw up, and discovered I’d lost half a toenail..oh and I think I was still sleeping in a formal dress I bought?!? 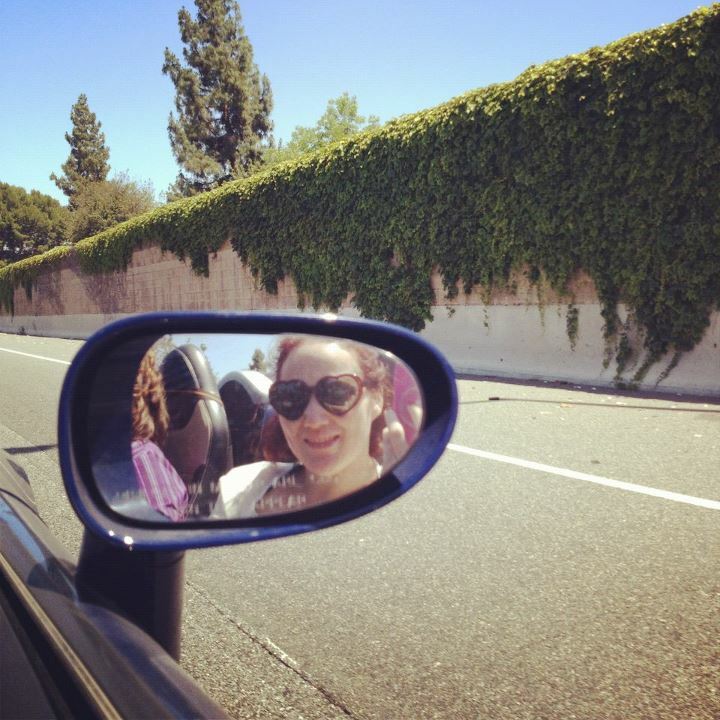 I hired a car and ended up with a Convertible Mustang, Yellow! My very own Bumblebee! I cruised along the highway from Las Vegas to Arizona and had the most amazing, soul-searching, quiet, experience. When “they” say some things are good for the soul, I think those moments where what “they” were talking about! 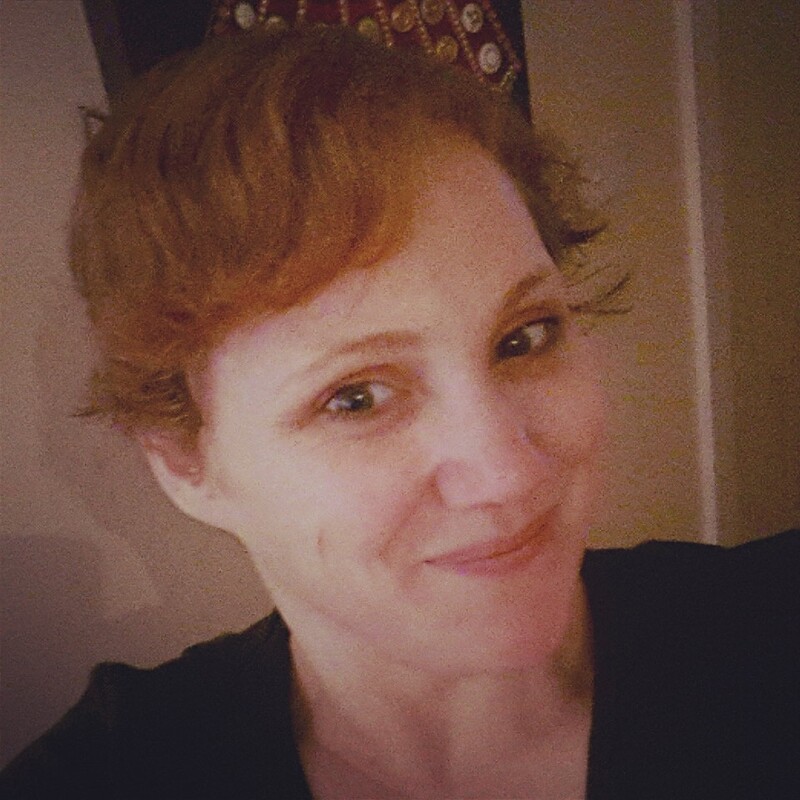 So why am I back to blogging? Well I am mainly doing it as a place to put my thoughts down, on life, love, everything in between, and also because after gaining 2kgs I’ve realised that I am not finished with my weight loss and fitness journey. There is still much to do. By acknowledging that here, I feel that I can keep myself accountable and have a place to diarise all the mundane, or the fun stuff! 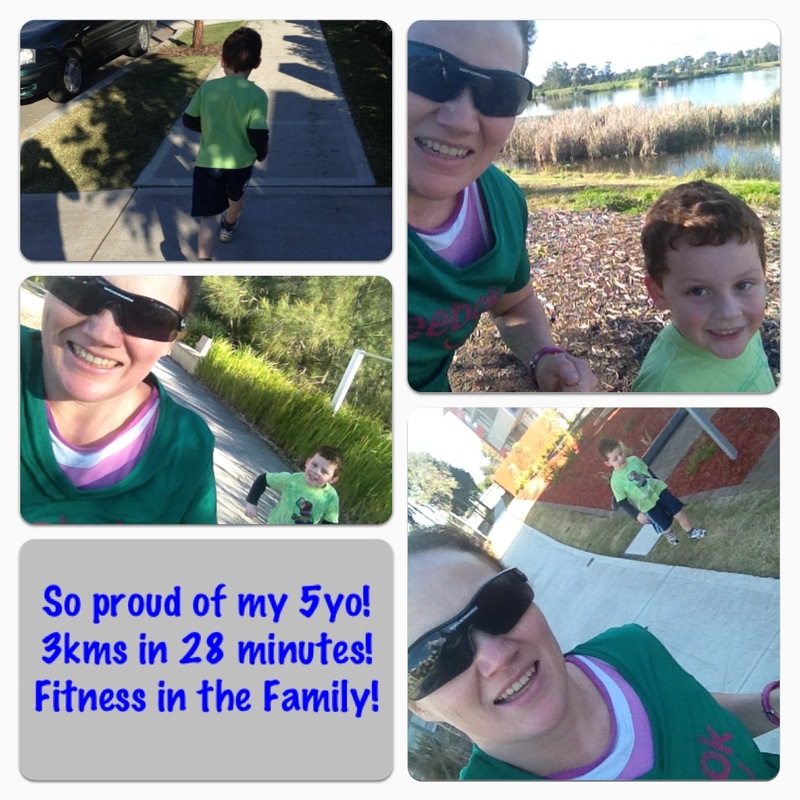 I’m still having my children involved with all things fitness and my 5year old son is always excited to join me on a ‘run’. We recently bought him a good pair of joggers and he can’t get enough of it! I’m also on an “organising” spree with my life. That includes house, life and everything in between! I was recently introduced to The Organised Housewife blog and I am in love! Simple, easy tips to get things back in order! Yesterday I spent ALL day going through a handy-dandy check-list from the website and I have to say, I’ve never felt so focused or in control when it came to the housework! I’ve always wanted to be a 50’s housewife! You know the one? Clean house, dinner on the table, kids happy, secretly sipping vodka in her water glass all day long!!! Here’s my first attempt at organising: 3 kids means 3 lots of bags and clothes that need to be sorted. I’ve now used our hallway as a bag station because I figured we always have to go through it to get to the front door, or to the back room where we live most of the time. 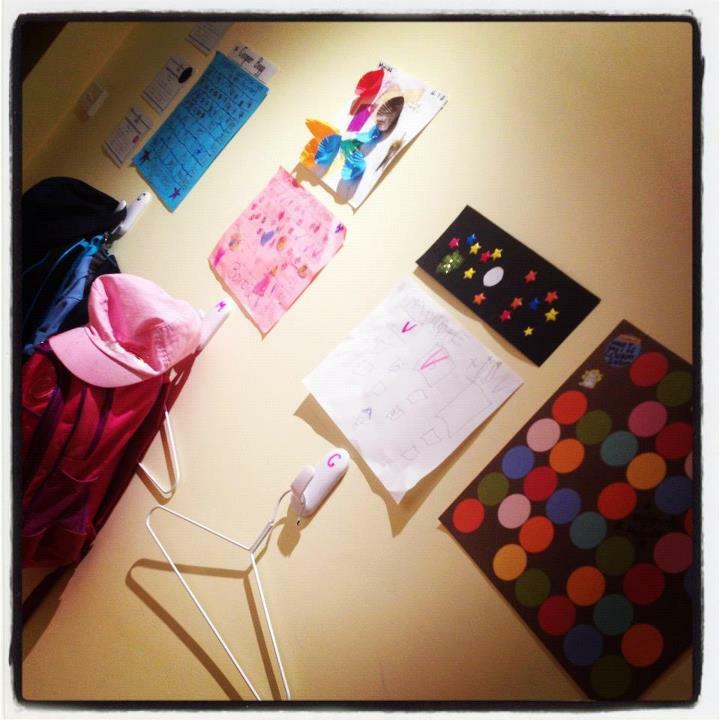 I also created an art of the week spot, so that we can rotate the artwork, and finally get it off my fridge, which made it look so cluttered! I’m also participating in the 20 Days to organise & clean your home challenge being run by The Organised Housewife blog I mentioned above. Pre-season tasks are the order of the day at the moment and the excitement is great! I’m holding on to hope I can complete this challenge and be more centred in the home and life! On top of everything I’ve listed I’ve done many more things, and have also started university! I’m studying to be an Early Childhood/Primary school teacher. It’s been a life long goal of mine and the timing all fell into place. I’m doing it all online, which is an interesting concept, and am learning many great lessons in needing to be organised, prioritising, NOT-procrastinating, and to focus! I’ll have many, many years until I’m finally in a classroom, but all good things come to those who work hard!! So that’s it…. We’ve got a long way to go, but everything is moving along nicely! I hope you’ll join me from time to time on this never ending journey called… Life!